The problems addressed in my book for the most part stem from my experiences in a variety of organizations. My career has afforded me many opportunities to observe the consequences of mans inhumanity to man. As director of a mental health agency for eight years, I saw the consequences of all kinds of abuse. As a white student in a predominately black university, I learned how it feels to be judged because of the color of my skin. As director of a crisis center, I learned more about the horror of family violence and sexual assault. (I was also reminded that people in the helping professions are no different than the rest of us who fall short in practicing what we preach.) As director of a women's organization, I learned about the insidious mistreatment of women to each other. As an organizational development consultant, I learned that most people are not necessarily badwe have just not yet learned how to get along very well, especially when we work in groups. This is particularly true when peoples livelihood is threatened (either imagined or real) for whatever reason. People just hate having others mess with their bread and will go to almost any length to protect it. I also learned there are some things worth suffering for: living within the truth and preserving the purposes of life. As much as it was against what I perceived to be my true nature, I gave up (kicking and screaming all the way) the need to have everything planned and figured out. I dedicated myself instead to responding well to whatever God had in mind for me and my family. There have been many surprises. While Ive worked on my book, it has been an honor and privilege to nurse my mother, mother and father-in-law, and daughter-in-law through their deaths; to mother my granddaughters; to help my husband fight cancer; and to serve in many capacities in my church and community. All of these things helped to heal my own emotional wounds. I am certain that without these experiences, many of which stretched me almost to a breaking point, I would have been unable to learn the truth about my complicity in much of my difficulties at work. Equally important to my healing journey is a good marriage that provides a safe haven in which to grow. In its most basic and fundamental sense, being a hero begins with being true to yourselfyour best self even in the worst of times. The thesis of my work challenges conventional views of organizational development by saying: In the workplace of the 21st century, you can't make organizations safe. You can help people become safer within their workplaces and provide them with better ways to protect themselves and others from the organizational pain that is always a potential threat. In spite of what the self-help success gurus would have us believe, our worklife is managed and reconciled not cured. I reject the traditional view of success in the workplace based upon how high we rise or how much money we make. For many people this kind of success never comes, or they reject this criterion for success altogether. Not everyone gets promoted, their stocks dont rise, and 7, 10, or 100 easy steps will not fix their problems. Everyone's journey is unique, highly personal, and ultimately spiritual. 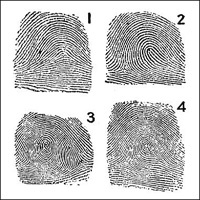 The ability to prevail in adversity is as different as our finger prints. Hence, there are few recipes for success in the traditional meaning of the word. If we want to change our behavior, we cannot simply learn about some new action and then just go out and do it. Most self-help and corporate training programs operate on the premise that we can. First, we must unlearn or deconstruct what we believe is real. This is no easy task. It is much easier to blame others or to rationalize what we do or don't do. It is easier to force the situation to fit our belief system than to change our values, assumptions, and behavior. How many times have you tried with all of your heart to put into practice some new behavior that, after about two weeks, it was business as usual? Most of us need someone to help us "peel the onion down to the tears" of our misconceptions and to practice new ways to respond until we are unconsciously competent. Only then can we rebuild new beliefs about what is real, what is relevant, what is reverent, what is repentant, and begin living an authentic life consistent with these new values. In the dance of life, the only feet we have control over are our own. Personal coaching provides real time, specific help to first be the change we want to see in others. It moves us from the futile trap of trying to change others, just coping with intolerable situations that need to change, piously going through the motions of doing the right thing, martyred attitudes that put others off, or trying the newest psychological fad to change ourselves. Personal coaching moves us out of the world of synthetic easy answers into the dark forest of original experience as we discover and recover the best within.